We would love you to join our ever expanding online community! Here are all the communal Nourishing Our Children and Nourishing Ourselves resources we offer. Please note that only Nourishing Our Children and its various social media venues is formally and officiailly connected to the Weston A. Price Foundation. Nonetheless, all of the forums, pages and educational initiatives Sandrine Perez has created are inspired by and in support of the dietary recommendations made by the Foundation. Note that we ask for a yearly contribution to join the 2 Facebook groups listed above. You are welcome to sponsor as many people as you’d like to join by adding to the quanity at check out. Wow, I love this site! We are also huge fans of Weston A Price and share your excitement over the children’s cookbook! I’m hoping there is some way we can work together to spread our common passion to a wider group. We serve an adult audience with most of our products but our children are defintily not overlooked! 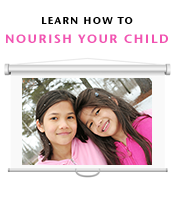 Some of the blogs we write and some of our product kits are also focused on children’s health and follow Weston. A Price recommendations. Check us out at http://www.perfectsupplements.com and send me an email when you get the chance! We love supporting other advocates!